Hola amigos, and Happy Monday! We hope you all had a great weekend & hope you enjoyed Part 1 of our California playlist, ‘California Über Alles’. If you missed it, you can listen to it here. And now we move on to Part 2! Honestly y’all, there are so many songs that have been written about California, it’s kind of crazy. I guess it still holds a certain mystique as the land of opportunity, probably a carryover from the old days of frontierism and the fervour of the California gold rush. You have to admit it’d be kind of cool to be out there prospecting for gold, and I can only imagine that when people got there and saw how beautiful it was they’d be hard pressed to want to leave. Anyway! There’s one song I want to talk about that’s not actually on this playlist, because it didn’t quite fit stylistically, but it’s an intensely beautiful song. Anyone who’s been reading this site for a while probably knows that I’m a big fan of the band Death Cab for Cutie. 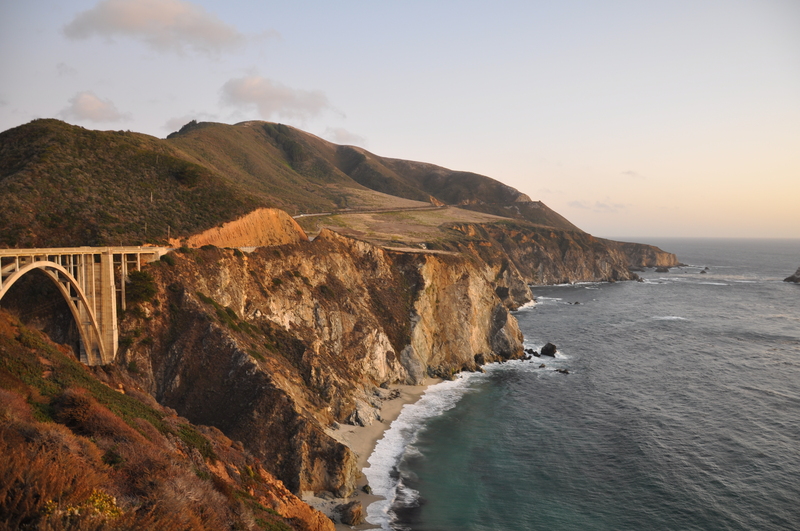 Their song ‘Bixby Canyon Bridge’ loosely references the route down the Pacific Coast Highway from San Francisco. When The Finn and I were on our honeymoon, we cued up the song and listened to it as we drove over the Bixby Bridge. It was around sunset and the sun was dipping towards ocean, casting a beautiful golden glow over the cliffs and the rugged shoreline below. And now please enjoy Part 2 of our California mix, ‘Peaceful, Easy Feeling’. 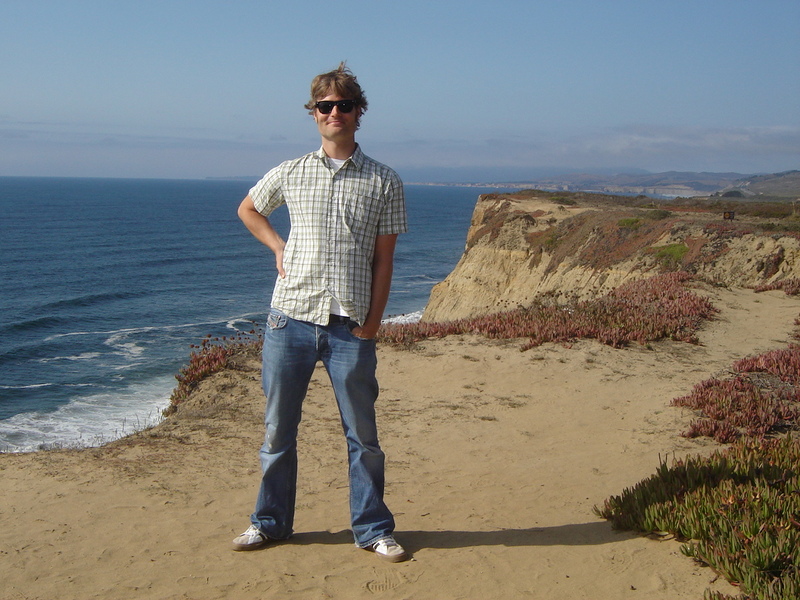 This entry was posted on Sunday, November 13th, 2011 at 10:24 pm	and tagged with california dreamin', covers, drug abuse, hippies, nostalgia, psychedelics, rock star style, scandalous lives and posted in Playlists. You can follow any responses to this entry through the RSS 2.0 feed. What, hansom looking fellow! And all around nice guy! tee ha! lol. I can say this because I’ve hung out with him! You’re two super nice people! The Cali list is great but hears a couple more: Fu Manchu’s (California Crossing) and Tu Pac’s (California) Anyways, I hope to hang out there one day!